Amanda's Parties To Go: Thanksgiving Desserts - Yummy! It's about that time to start planning your Thanksgiving meal -- I already feel like I'm running a little behind with my own Thanksgiving menu. And what do I do instead of gathering roast turkey and vegetable sides recipes? I research DESSERTS! 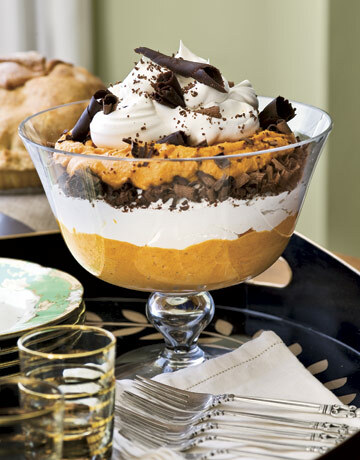 Say what you want about the turkey and sweet potatoes, but really, we all know the dessert is our favorite part of the meal! There are some gorgeous ones out there on the internet.... look at all of these yummies I found. Yum Sugar has a fabulous looking pecan pie, always a classic and my little girl's favorite, so I know I'll be making at least two of these for Thanksgiving at our house. Sunset has this Pumpkin Ice Cream Torte with Ginger Crust that seriously looks to die for!! 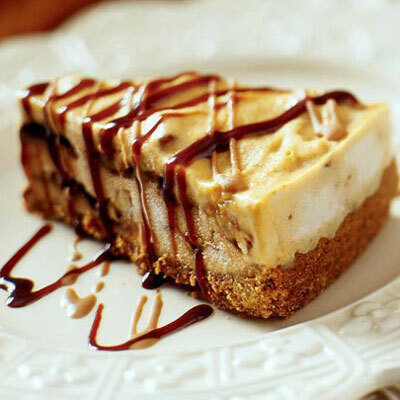 The store-bought ice cream, caramel and chocolate toppings make this one quick to make and the gingersnap crust adds that little something special. 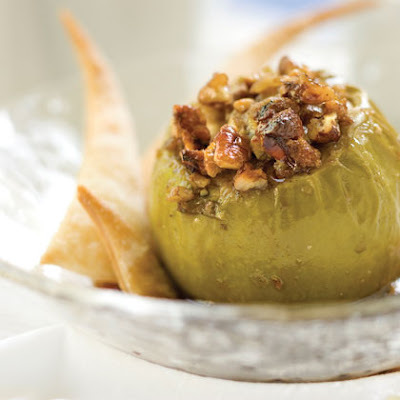 Change things up this year and instead of that whole apple pie on the dessert buffet, why not have a platter of individual servings of baked apples with a yummy pecan and brown sugar topping. 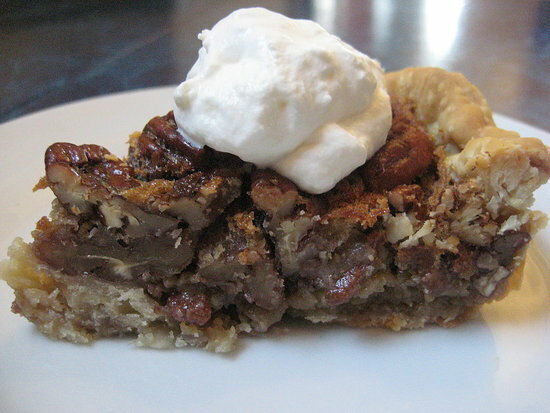 This one is from My Recipes and looks fabulous paired with the sugared pie crust strips. Trifles are so pretty -- why not make a trifle this year and place it front and center on your dessert buffet? 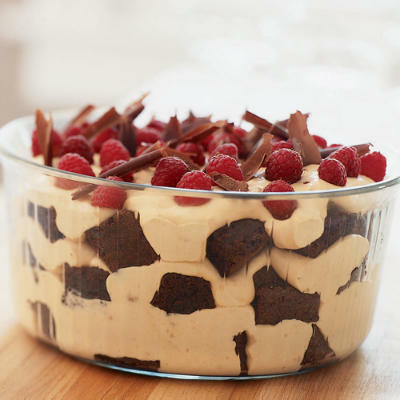 This Chocolate- Caramel trifle with raspberries from My Recipes is a show stopper. The recipes make the chocolate cake pieces from scratch, but I'm thinking as busy as I'll be cooking at Thanksgiving, maybe I could buy a package of two-bite brownies and use those instead. I'll do just about anything to buy a pack of two-bite brownies!! This looks like the perfect ending to a wonderful Thanksgiving meal to me. Pumpkin Cream Tarts with Candied Raspberries from Country Living -- these individual portions would look so pretty on a dessert table! Here are two scrumptious looking desserts from At Home with Kim Vallee. On the left is a caramel-apple crostada from Sweets. 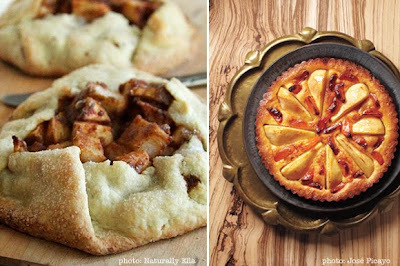 And on the right, a pear and dried apricot tart from Real Simple. I hope these gorgeous desserts give you some great ideas for your own Thanksgiving dessert table this year. Have a wonderful weekend everyone!